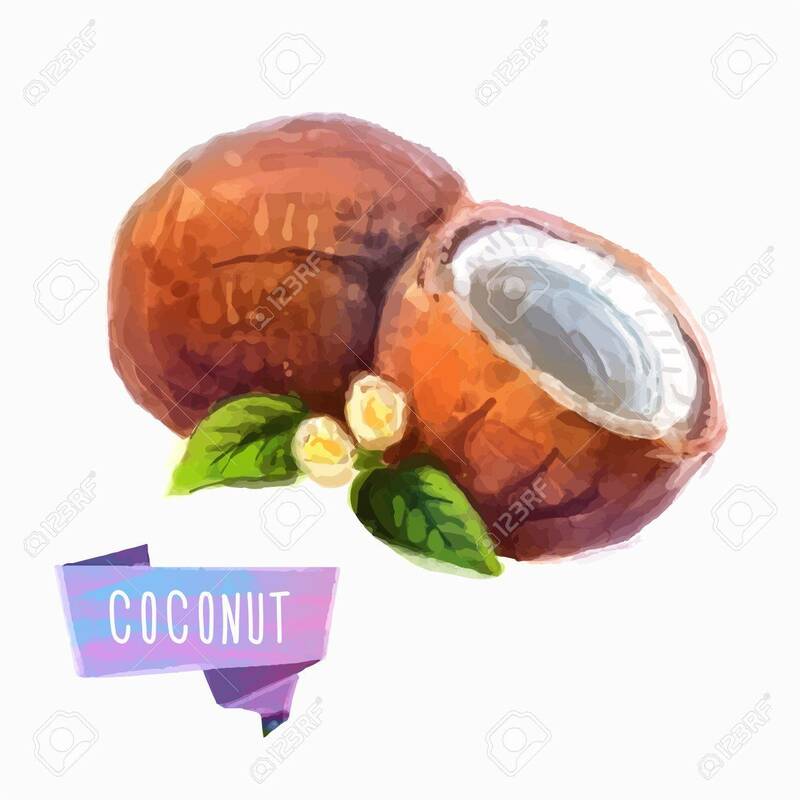 Coconut Hand Drawn Watercolor, On A White Background. Vector Royalty Free Kliparty, Vektory A Ilustrace. Image 38123082.